Nicely done, and as you know, I concur with the thesis. The Altar Stone was also clearly aligned, but I never gave BS-68 / -66 any thought till now. Great catch! I wonder if you might do something for me while you have your charts and graphs right there on the table. 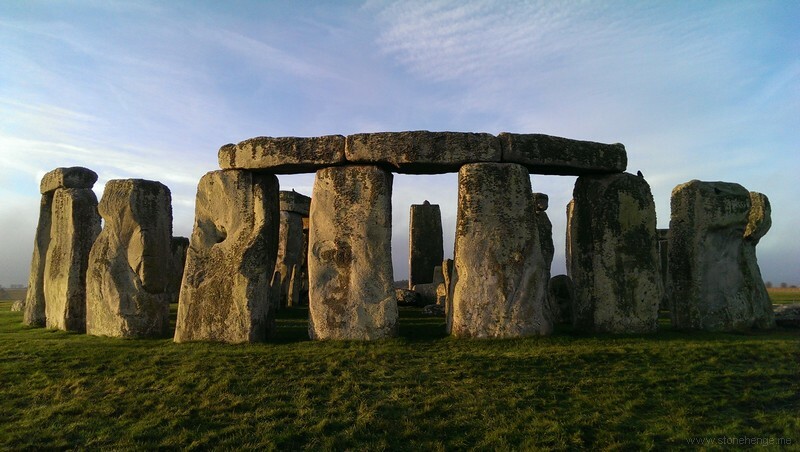 Determine the angle across the henge for Summer Sunset / Winter Sunrise, eg SS-93 / Hole-H. Now track a straight-edge at that angle over the entire circle of opposing Aubrey Holes. Very well done Tim! A very well constructed paper. One interesting thing is the position of stone 156: This is quite a long distance from the expected centre of gravity of such a fall if stone 55 had fallen first. By comparison, if both stone 55 and 56 had started to fail, and the lintel remained partially stable during some of that failure process, the position of the fallen stone is in a more logical position. We know that there was a partial failure of 56 because we know it was re-erected. Out of interest Tim, who dismissed it as a mistake of stone re-erection? During the overturning failure of a foundation component, the ground will resist movement (known as passive resistance). If parts of the surrounding ground were less well packed than others, or there was a difference in the shearing properties of the ground local to the foundation sides (especially where the resistance “strengths” are paired on opposing corners or one corner has an unusually high resistance), you would expect to see the foundation twist relative to its axis: We know that a partial failure occurred, so it's interesting that an ordinary rotational mode of failure was, by inference, dismissed. Only asking because, if your hypothesis gets traction, you will get almost every engineer asking the same question: Not a criticism, more like highlighting where you'll need the backup material ready. Anthony Johnson's Solving Stonehenge from memory makes the same argument as you which is not trivial. Many thanks for putting it so clearly. I should have added that the stone did twist as it leaned but the twist was corrected by Gowland. A rotational failure would be very tricky to spot if it's due to opposing pairs of weaker soil: The stone would rotate but fall perpendicular to its major axis (leaving little trace of the rotation apart from a slight uplift of the soil at the corners). Rotational failure due to a hard spot would be a lot easier because the stone would rotate but also fall in a direction (when see on plan) that would be at a slight angle relative to its minor axis. Nice idea - but just doesn't add up! If the alignment to the winter sunrise was important then the entire 'horseshoe' would follow the same alignment - which it doesn't. If stones 56 & 55 were still in 'situ' without known change then you may have a good argument - but both have been moved from their original positions. The only case in the argument is that stone 56 is been aligned with 55 as it has the 'packing stones still in place' - if so, how did it fall over? Unless stone 55 was raised vertically out the hole ALL of the packing stones would have been moved from their original position to some degree - the fact that 55 now covers its own stonehole shows that the stones are not 'in situ' even from the time of the collapse and have been moved in some way since. So any packing stone alignment should be rationally disregarded until a time when stonehole 55 is fully excavated, so the method of construction can be fully understood and measured.